Engine serviced August 2017. New batteries 2016. Furling new July 2017. - Sail Covers new not used. Lead Encapsulated Keel. New upholstery March 2017. New cooker 2016. New Vetus fuel tank 2016. New Halyards November 2016. New sprayhood 2017. Cockpit Seats new 2017. With all her updates and additions this yacht is a great example of the well respected Alan Buchanan design, with her head turning clipper bow and classic lines underpinning the safe and enjoyable passage making for which these yachts are reknown. 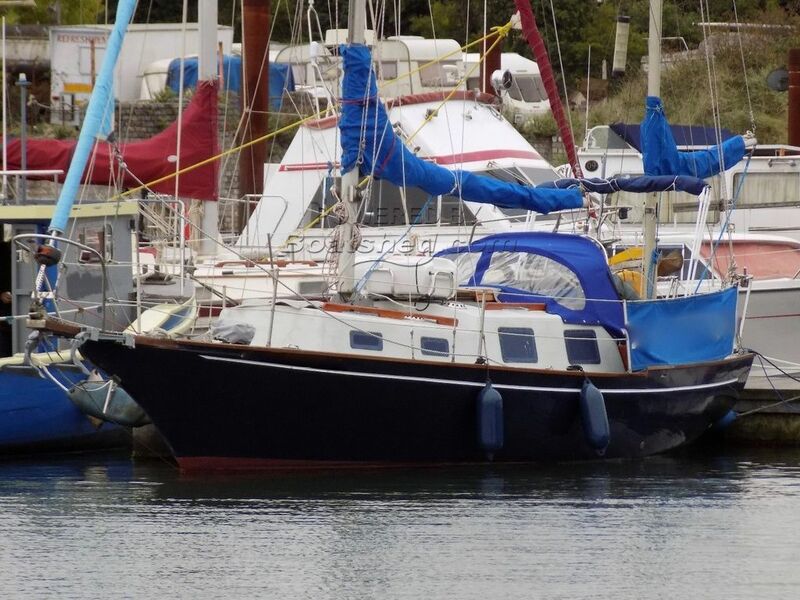 Capable of distance cruising, she has the pedigree for big sea voyages so if you are looking to go places without breaking the bank you have just landed your catch! HUGE REDUCTION!! In addition she has a recent survey dated August 2017. This Nantucket Clipper has been personally photographed and viewed by Geoff Jaquest of Boatshed Suffolk. Click here for contact details.